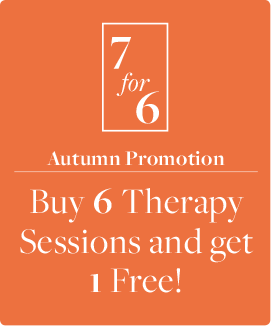 Come for regular sessions of counselling and psychotherapy, and when you purchase your initial block of 6 sessions, get your 7th session FREE! Our targeted therapy sessions will focus on the weight, food, eating, body and mental health issues that are keeping you stuck in unhelpful patterns of behaviour. We will support you in understanding some of the themes that are maintaining your struggle with weight, and show you how to work through them. We can help you with binge eating, depression, bulimia, anxiety and all other psychological issues that are affecting your relationship with food and eating. The content on this site is for general information about our services. Please note that results are not guaranteed, and that results may vary from person to person.